In this lively and stimulating study, Roger Magraw examines how the 19th-century French bourgeoisie struggled and eventually succeeded in consolidating the gains it made in 1789. The book describes the attempts of the bourgeoisie to remold France in its own image and its strategy for overcoming the resistance from the old aristocratic and clerical elites and the popular classes. 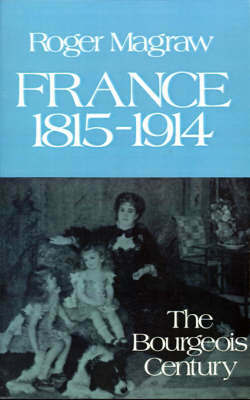 Incorporating the most recent research on religion and anticlericalism, the development of the economy, the role of women in society, and the educational system, this work is the first to draw extensively on the new social history in its interpretation of events in 19th-century France.